The Owner Makes the Difference. Tell Us About Your Store! Keep your name, but take advantage of Learning Express resources to help run your business. 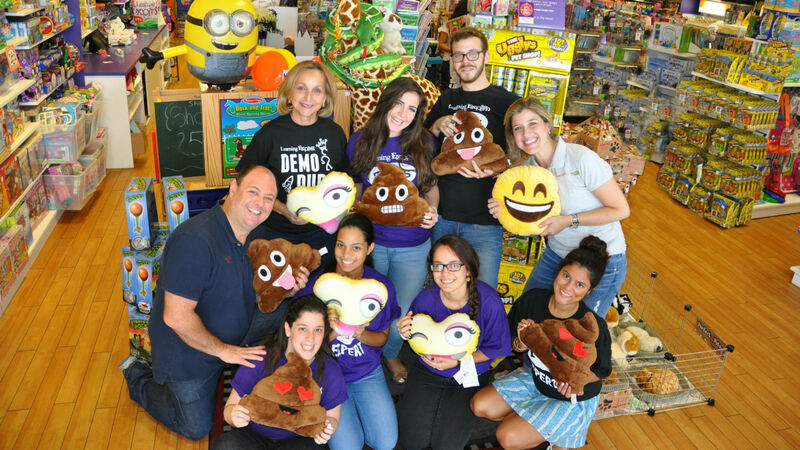 With the nation’s largest family of locally-owned retail specialty toy franchise locations across the US, we understand first-hand just how rewarding and challenging our industry can be. Get access to custom graphics and marketing support, a pre-negotiated buying program, proprietary sales analytics software, hot product tips and much more. You’ll still control your inventory and your business, but you won’t have to do everything yourself. Mountain Top Toys has served the Signal Mountain community for more than 25 years. It remains locally-owned and operated, but now Patrick & Joanna take advantage of Learning Express resources to help run their business. Welcome to the Learning Express Toys family! To learn more about Mountain Top Toys, see this news article or visit their store page. You’ve spent years building your team, perfecting your operations, and creating a strong, loyal customer base. Why would you consider joining a franchise now? Our Home Office supports store owners with services like Marketing, Graphics, Buying, Merchandising, Staff Training, IT, Real Estate and Demographic Research. In addition, we have proven success with selling store locations when owners are ready to retire. We like to think of Learning Express franchisees as independent store owners who aren’t alone. One of the top benefits of joining a franchise is the owner community. Our engaged owner community develops many of our best marketing programs and discovers many of our best-selling products. Store owners meet in person twice a year at Toy Fair and again at our Learning Express Convention each June, but we hold dozens of calls and webinars and send emails year round to help spread good ideas. We believe in maintaining the brand and image that you’ve built as a specialty toy store owner. The Learning Express brand is well-known in many US markets, but we also feel it’s important to keep an element of the original brand that your community trusts. 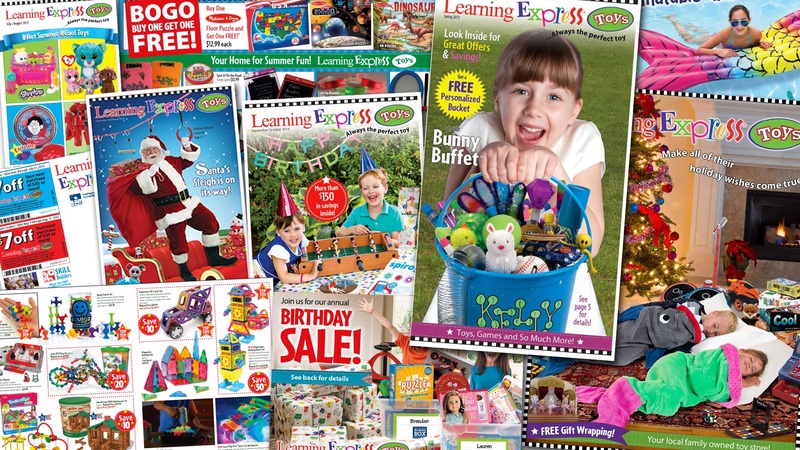 Since 1996, Learning Express has published a full-color catalog to direct-mail customers each holiday season. That catalog has grown to more than 6 nationally-published direct-mail pieces, in addition to thousands of available email and social media graphics that can be customized to your location. Over the past 30 years, Learning Express has developed strong relationships with more than 200 vendors and manufacturers. We buy as a group at our Learning Express Convention, saving vendors valuable dollars that are passed on to store locations. As a Learning Express store, you would have access to Learning Express exclusive products and buying processes. Point-of-sale broken again? Gift card or Marketing Program giving you trouble? Now you have someone to call, and a community of owners off whom you can bounce ideas and best practices. Our Learning Express Intranet compiles sales data from across Learning Express stores to provide you valuable buying information when you need it. What does it take to get started? Our store conversion prerequisites are pretty simple. The store location must be outside the designated territory of any Learning Express location. The store must be 50% or more dedicated to specialty toys and gifts for children. The store must be a stand-alone or inline/end-cap commercial retail space, either leased or owned. No kiosk, cart, mobile, online, or home-based businesses. c) $5.00 per person in a 5-mile radius from the store location. The owner must be committed to train in the Learning Express system and work the business full-time. The best way to learn more about Learning Express and our Conversion Program is to contact our Franchise Development team. Tell us a little bit about you and your store, and we’ll contact you regarding the possibility of a store conversion. Not quite ready? Tell us why.